Anyone wishing to make sense of the world will eventually have to spend some serious time studying the often dreary subject of economics. Economics is the only subject that people are so passionate about that they are quite willing to start wars and revolutions over the various interpretations of their economic worldview. Of course, modern economics as taught in our finest universities has very little to do with the economic arguments that start revolutions. The modern economist has probably best been described as someone without the charisma to become an accountant. With their elaborate computer models, economics has mutated from its origins in Moral Philosophy to its present status as a branch of applied mathematics. The transformation is so complete that the giants of economic philosophy like Adam Smith, Karl Marx, David Ricardo, or Friedrich Hayek can no longer even be called economists. Yet is it precisely the old-fashioned forms of political economics that sheds light on human societies. The new economics may have given us powerful tools for quite precise measurements but unfortunately these tools are about as useful to describing the large issues as a pocket calculator is for measuring sexual attraction. The fact that most modern economists are very right wing and conservative has much more to do with institutional arrangements and the Zeitgeist than any particular truths uncovered by the new tools. To make this short and sweet: Modern academic Economics is about the tools and methodologies of inquiry; Political Economy is about the ideas and assumptions that economists seek to prove or disprove. One actually need not know a whole lot about economics to argue Political Economy beyond a basic understanding of what their tools can prove. Economics is a very narrow specialty while Political Economy is a very broad subject open to curious and informed laymen. And since the tools of economics can be universally applied to assumptions of conservative AND progressives (that is why they are so valuable) the interesting debates are almost always about the ideas of the Political Economists. After a lifetime of rummaging around the attics of economic philosophy I have discovered a set of principles I find especially useful and descriptive. A solid majority of them were first articulated by a first-generation American political economist named Thorstein Veblen. Anyone looking for an explanation of modern economic conditions could do FAR worse than read Veblen. He has become, by FAR, my favorite dead political economist. Thorstein Veblen was born in 1857 to Norwegian immigrants on a farm in Wisconsin. 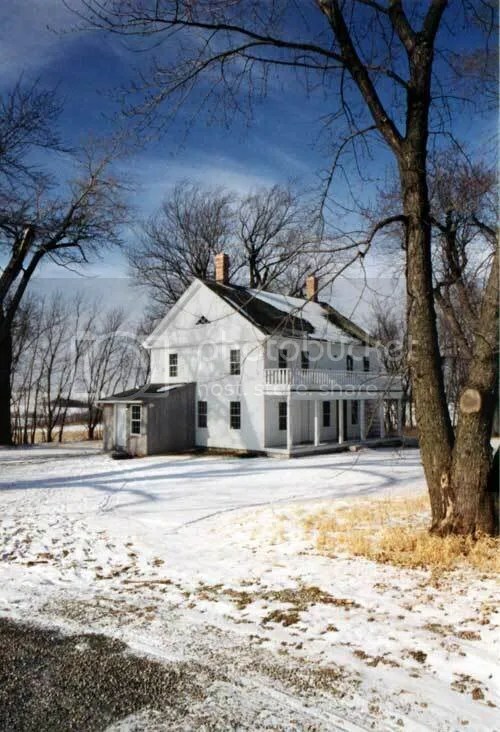 In 1864, the family moved to a larger and much more fertile farm in Minnesota. The high prices offered for farm commodities due to the American Civil War soon made this struggling immigrant family very prosperous. Because the Veblen children were unusually bright, some of this newfound prosperity was spent sending them to a nearby college named Carleton. Thorstein would graduate from Carleton in 1880. After a short stay at Johns Hopkins in Baltimore, he would get his Ph.D. in philosophy from Yale after writing a dissertation on Immanuel Kant. He attempted to get work as a philosophy professor but soon discovered that such jobs were usually given to the religiously devout. After a long reassessment of his options, he went back to school to study political economy. In 1892, he would finally land a job at the University of Chicago. After publishing a handful of academic articles, he wrote the book that would make him an international sensation entitled “The Theory of the Leisure Class.” It first hit the bookstores in 1899 and has not been out of print since. His output would eventually include 10 books and slightly over 100 essays, book reviews, and other scholarly works. What makes Veblen still relevant? That mountain of material contains an astonishing amount of insight into the human condition. Even though Veblen is no longer considered an economist, his ideas are still taught in many sociology and cultural anthropology classes?along with the occasional class on political economy. Veblen was obviously a genius which makes his books extremely difficult for the modern reader. Yet the fact that folks are still mining them for nuggets of wisdom is telling. Why? 1. “The Theory of the Leisure Class” (PDF file) introduced the expression Conspicuous Consumption to the English language. It also contained the lesser-known idea of Conspicuous Waste. This book is required reading for anyone interested in the role of luxury spending in economics. It also suggests that pollution and environmental destruction may be as much a function of faulty social arrangements as bad industrial design and inefficiency. 2. Veblen’s economics were based on his assumption that the most interesting class division in human societies was between the Industrial Classes (those who built and maintained the necessary machinery to provide for the community’s material needs) and the Leisure Classes (those who fastened themselves on backs of the Industrial Classes through force and fraud in order to provide for their own survival.) This class analysis is essential for anyone who wonders why rocket scientists, software programmers, and engineers need trade unions. 3. 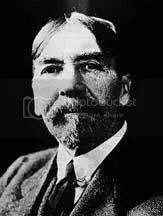 Veblen was also the inventor of a little-used but extremely powerful investigative tool called Institutional Analysis. By Veblen’s thinking, the investigation into human understanding has devolved into a study of individuals (Psychology, and sometimes Theology) and groups (Sociology, Cultural Anthropology, etc.) He proposed that a more productive line of inquiry was of the interaction between what he called Institutions (education, banking, the military, agriculture, etc.) Institutional Analysis works for the very simple reason the people who make up Institutions are predisposed or are trained to serve the needs of the Institution. Farmers act like farmers, bankers like bankers, teachers like teachers, etc. for a wide assortment of good reasons. If you can understand those Institutional reasons, predicting the behavior of significant groups of people is possible. And because the behavior of Institutions is fairly predictable, it is possible predict human history with some degree of scientific accuracy. In 1915, Veblen wrote a book of towering genius called “Imperial Germany and the Industrial Revolution.” (PDF file) In it, he postulated that Germany’s main Institutional dilemma stemmed from an ugly and dangerous combination of leading edge scientific and industrial power with old-fashioned Prussian militarism. Because of this, Germany would be a dangerous neighbor even if she lost World War I. In that case, the industrialists would hire themselves a dictator who would allow them to reorganize. When industry returned to churning along smoothly, militarism would reappear and war would break out again in Europe. He wrote THAT with war fever breaking out in USA. The ONLY reason Institutional Analysis has not become more popular is because while its theory can be understood in minutes, learning to actually do it requires a lifetime. It is one thing to assert that bankers act like bankers–it is quite another to understand the elements of this behavior. Veblen may have “proved” that Institutional Analysis works, but even he was 58 and had already been called the last man to know everything when he demonstrated his skill. Veblen may have been dead since 1929, but his observations are still amazingly useful in explaining the failure to come to grips with environmental problems, the precarious nature of “western” prosperity, or even the sorry track record of political predictions. Unlike guys such as Marx, Veblen has never had “followers.” This is mostly because he considered himself to be an evolutionary economist. People who need enduring truths are usually frustrated by people who tell them that the essential truths are found in studying change. Even so, there is no good reason to re-invent the wheel. Veblen was by far, the most modern of the giants in Political Economy. He was the only one who could have been called technologically literate. Reading him will provide anyone interested in understanding modern economic problems a running head start. This entry was posted on Saturday, October 6th, 2007 at 8:12 am and is filed under Uncategorized. You can follow any responses to this entry through the RSS 2.0 feed. Responses are currently closed, but you can trackback from your own site.